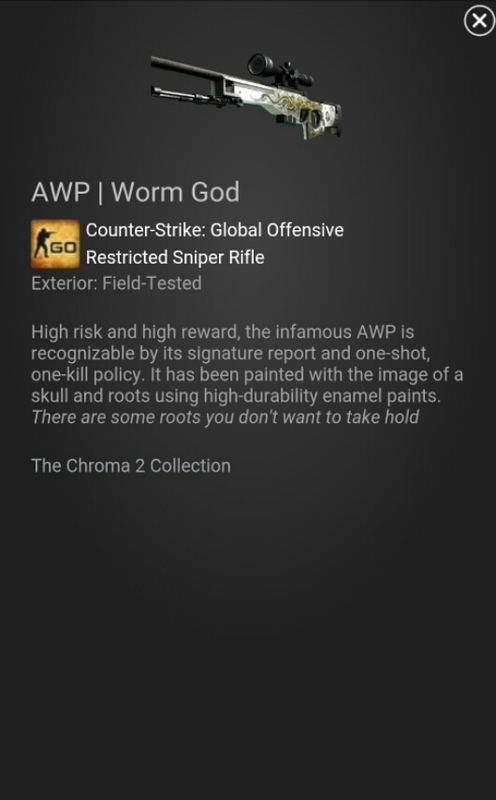 I’m lucky enough to have a friend who opens cases once a week. 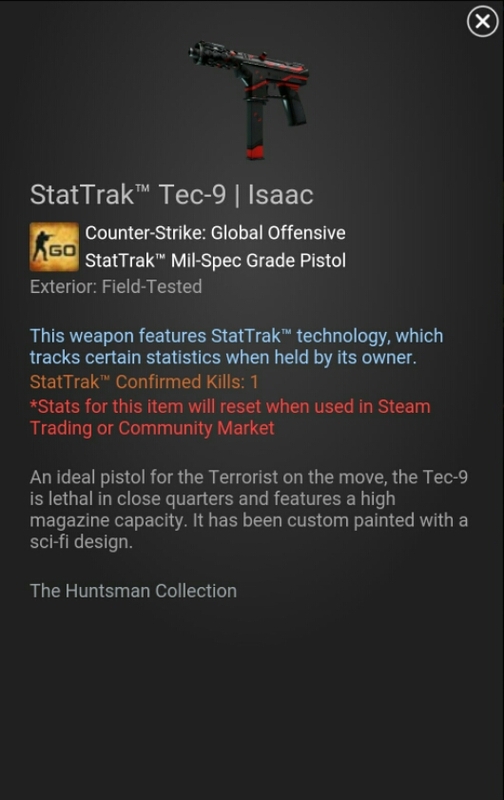 He had a few spare skins so I was lucky to finally get an AWP and a nice upgrade from my StatTrak Tec-9 Sandstorm to a StatTrak Tec-9 Isaac. Along with a few others but the main two I have mentioned. Not played much the past few days and soon I’ll be losing my rank so tomorrow I will be doing a few Competitive matches and hope to get a few cases would like 10 for my next payday. For years now I have gamed on my PC using cheap headsets. Logitech over the ear headset with mic among other cheap alternatives. I could have used my Sharkoons which I used on my PS3 and PS4 but that would me unplugging it all and to be honest I have always wanted some Astro A40’s. I have been saving over the past few months for a new SSD and I finally got one for my OS before upgrading to Windows 10, unfortunately at only 500gb it wasn’t gonna cut it with my collection of games. I decided to use a little more saved cash and get a 1TB SSD which I thought would be big enough for my games. I was wrong and a 1.3TB would have been better, I removed a few unplayed games which got me down to 930GB. When I was buying the SSD an advert popped up with 20% off Astro’s and who can resist a bargain lol. Anyway I have had them sitting in there box for a week and on Sunday night I finally had a little time to my self and got them setup. Although I have only used them Sunday, Monday and yesterday night I can say the sound quality is great, although I still think my Sharkoons have better sound quality. They are a lot more comfortable then my Sharkoons though and the Mix Amp Pro takes all the strain out of setting up Voice over game sound and with the volume control it’s a joy to use. OK my title may seem a little over the top, but since the skin update for Counter Strike Global Offensive sales of the game have soared. Other games are following suit, I’m sure league started with the skins but CoD Advanced Warfare has also added purchasable supply drops along with the Battlefield series. Unlike the others CSGO doesn’t add anything to the game, where as the supply drops give you clothing and guns in CoDAW and Mods and Clothes in Battlefield. CSGO cases just add a different look to your guns. To be honest I’m probably one of them idiots out there who buys keys monthly to try and get some skins which are worth more then 4p. Unfortunately I have spent more then I have won but I suppose that’s the gamble. I have seen people open a knife on there third case opening I got mine over £100 in. The problem is you jump on YouTube and most of the videos are now case openings and it’s not just FPS games you can buy card packs for Fifa, Dirty Bomb and Hearthstone so you can watch people open there items. I haven’t made any case opening videos and I probably won’t, there are videos out there showing people how to actually start CSGO rather then just opening cases. New Mouse – Better Gaming? When I first bought my cheap rig a few years ago the last thing on my mind was a mouse. After a year of using a Logitech M100 I decided to grab a gaming mouse as my usage for my PC had gone more in the direction of gaming over anything else. I went for a Corsair M40 mainly because of reviews saying it was a plastic version of the more expensive M65. From day one my gaming went south and my aim was never right always off and it was taking me hours to get my aim right almost everyday. I never blamed the mouse until I finally tried to set my sensitivity in CSGO each day it would be out, each day I would have to adjust my DPI to max then minimum using the built in DPI changing buttons. After months of this I tried a DPI app which tells you what your DPI is just moving a cursor across the screen it was never the same. I was getting so frustrated I finally started to search for a new gaming mouse. My issue now was after spending so much on the M40 how could I trust another gaming mouse. I searched high and low for the best rated mouse searching through reviews, most so old some mice were no longer available. I found a trend in one specific mouse the Razer Deathadder mainly positive but some minor gripes mixed in. I took the plunge and have never looked back. I feel the mouse is consistent which is great in comparisons to my last, my aim in my opinion has become better and my overall gaming has started to progress. I would highly recommend the Razer Deathadder as after using it for only a short amount of time I feel it’s the best mouse I have used. I can’t say it’s the best gaming device you can buy as I haven’t tested then all but to me this one truly is a gaming device. I may have got a faulty M40 and won’t write Corsair off for good just yet, I still have a Corsair K30 Keyboard but to me Razer seem to have it right.